The mess of wires, finger clips and multiple glued sensors traditionally associated with a stay in the hospital may soon be a thing of the past. Britain’s National Health Service (NHS) is testing a small monitoring patch that continuously monitors heart rate, temperature and blood pressure without needing to be directly wired to a machine, BBC News is reporting. The battery-powered device, manufactured by the English firm Sensium Healthcare, is placed on your chest directly above your heart. It collects your vitals every few minutes and wirelessly transmits the information to a small box in the hospital room that's connected to a larger IT system. Each patch costs the hospital £35 – about $60 – and lasts for up to 5 days. The new patch offers more comfort and convenience to patients, of course, but the real benefit is how the continuous stream of data could save lives. 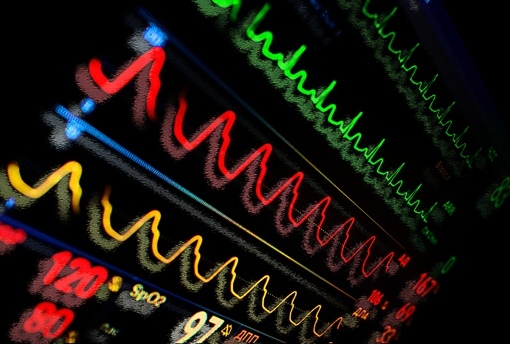 In Britain, failures in patient monitoring represent a third of all preventable hospital deaths. Instead of having nurses manually measure patients’ vitals every four hours, as is currently the case, the new wireless sensors keep continuous watch and provide alerts at any sign of decline. The system has given early detection of deterioration in 12% of those who wear them, hospital officials say. The wireless patches also allow nurses to focus better on patients’ needs. "Without this monitor, you're constantly thinking what's happening in the next room, and I should go in there and check them,” says Victoria Howard, a staff nurse. "Knowing this is on and it works well, we're able to spend that bit more time." For more on the new wireless patch, watch the short video below showcasing a similar U.S. trial of the technology. For more on how big data is being used to save lives, check out our recent coverage of a North Carolina hospital that monitors its patients' credit card purchases and store loyalty card data to predict at-risk behavior.